Home > Uncategorized > What are gum grafts? 06 Feb What are gum grafts? Gum recessions are the main reason why gum grafts are performed. Although it seems an uncommon problem, it is present in many patients. The formation of recessions is a progressive process that occurs slowly. For this reason, many times they go unnoticed until they are already too obvious. One way to control this evolution of recessions is through regular dental and professional hygiene controls with oral hygiene teaching, thus preventing situations that require surgical procedures of gum grafts. Recessions are essentially a condition in which the gum begins to retreat from the tooth leaving the root exposed to the mouth. Over time, this process can continue to form small bags between the tooth and the gum. This promotes the accumulation of bacteria in that area that, if not adequately eliminated, can lead to complications over time. Before reaching these situations, dental recessions can be treated without requiring a surgical procedure. Some of the signs that may appear early are the increase in dental sensitivity, perception of the teeth longer than normal and small indentations, wear or marks where the tooth joins the gum. Gum grafts are a surgical procedure that is done by taking a piece of soft tissue from a donor site to be used in another receiving place. This donor tissue can be obtained from the palate, from the area of ​​the upper teeth of the judgment when they are not present, from the gingiva adjacent to the affected teeth, including tissue from a tissue (human) or animal tissue, or of artificial substitutes. Recessions can be caused by different causes. The main cause is the bacteria of periodontal disease. The treatment of gingivitis prevents the formation of initial recessions as in more advanced phases of periodontitis they are already an almost inevitable condition. Another causative factor can be trauma caused by different agents such as aggressive brushing (horizontal or circular) or the presence of a piercing. Another factor that predisposes to the recessions of the gums is to have fine gingiva and bone in the outside of the teeth, and it is given especially in the patients of Caucasian race. In addition, another factor that facilitates and can cause recessions in patients with fine bone and gum is the orthodontic movement; evidently an expansion or outward movement of orthodontics as it could be in cases of severe appendages or compressions of the jaw or jaw. Gingiva gingiva surgeries are a valid treatment for recessions in more advanced stages. We can divide the types of grafts into three groups: connective tissue grafts, free grafts and pediculated grafts. The connective grafts: they are the type of graft that is most used with difference and the one that according to the studies obtains the best results. To get it, a small incision is performed on the palate so that the periodontalist can get connective tissue from the inside of the palate (as if we took the cheese from a sandwich and we went back to dinner). In this way it generates minimal discomfort in the palate and heals internally. Next, the tissue obtained from the palate is placed in the defect, covering the exposed root and any defects that could have been formed, being covered by the patient’s gingiva. Free graft: it is taken directly from the palate including the skin and internal tissue, and is placed on the exposed root without covering it. The pediculated graft: it would be the displacement of the gingiva from neighboring areas to the affected area. After the surgery it is important to follow the instructions explained by the dentist or periodontalist (gypsy dentist). It is important that the graft does not receive any type of trauma or movement until it is cured (4 to 15 days) so that brushing in that area and the use of flossing will be avoided. To maintain proper hygiene and avoid possible infections, the dentist will recommend the use of antibacterial gels or gels. The diet will also be affected, with a soft and cold diet being at the time after the surgery. The pain that the patient can experience is very mild, the inflammation being more dependent on different factors such as the complexity of the surgery and the amount of teeth involved. Post surgery medication guidelines will help control pain and inflammation. 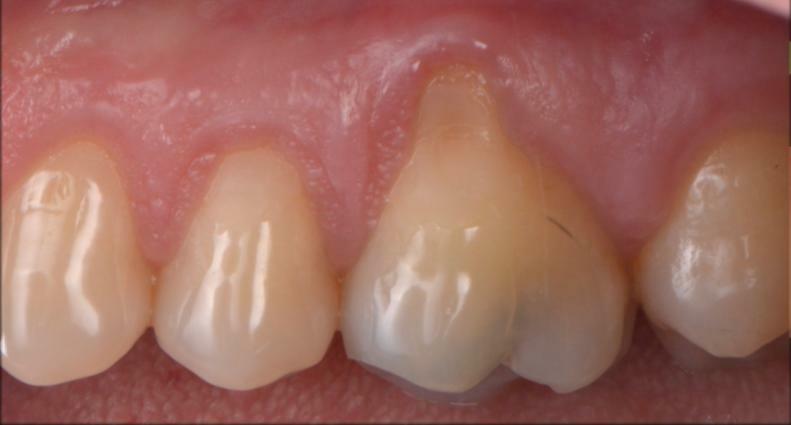 Gingiva grafts allow to reduce the progression of the recessions and thus improve the prognosis of the teeth, also reduce the sensitivity of the root (root) to cold or hot stimuli by protecting the roots of the teeth; Also improve the aesthetics by matching the level of the gum of the different teeth. It also allows you to treat some defects caused by periodontal disease and help treat the same disease.